DarenthMJS Vending Machines Now Available! Eagle eyed followers of Intelligent Vending will have seen that our online product range has grown dramatically over the past week. We’re thrilled that we can now offer the full DarenthMJS range of hot/cold drinks and snack machines on our site. This is a great partnership for us. Not only are DarenthMJS one of Europe’s most innovative and respected designers of vending equipment, they are British and, what’s more, based just up the road from us in north Derbyshire. We called into their factory a few weeks ago and ended up spending the whole afternoon there. They have a fantastic showroom and are complete enthusiasts about the equipment they sell – it was almost impossible to get away! Perhaps best known for providing a large number of well-priced in-cup hot drinks machines to suit every vending, factory and retail requirement, they have recently branched out by developing a high quality, stunning to look at, range of bean to cup machines. The Roma range not only looks great, with its matt black cabinet, stainless steel features, and choice of different coloured neon effect backlighting; the coffee it produces is equally special, and shows that automatic machines are increasingly a match for their barista operated counterparts at the local coffee shop. In line with their desire to provide innovative and practical solutions, the Roma Duo seamlessly enables two drinks to be made in unison and doubles capacity while reducing waiting times for consumers. Available with a range of very useful accessories and payment systems, the Roma will undoubtedly be a force to be reckoned with in coffee vending. Why not take a look – the whole DarenthMJS range is now available from Intelligent Vending! Adding to our ever expanding catering range, we have now listed Franke Coffee machines on the site. These top of the range, stylish yet simple to use coffee makers make a great addition to any cafe, catering establishment, or office staff room and are now available to buy from us here! As ever, full specs and downloadable brochures are available at the bottom of the page. Makes you warm up just thinking about a nice fresh coffee during this cold, cold weather doesn’t it! What’s your favourite hot drink? Let us know in the comments below. As of the 20th September 2010, the Flavia Creation 400 hot drinks machine will sport a fresh new titanium look. Replacing the old cream finish, the new titanium fascia provides a sleek premium feel, and is intended to better integrate with workplace environments. The previously white lights have now been changed for lights which emit a cool blue glow, further enhancing visual appeal and complimenting the style of many existing electrical products around the office. In an attempt to boost the intuitive use and user experience of the Flavia coffee machine, the rounded selection buttons have also been replaced with concave versions, to show their purpose more effectively. There have also been few a slight modifications to the software of the Flavia C400 to make it more simple and easy to use. The screen saver has been removed, and potentially unfamiliar or unnecessary terms and options have been stripped from the on-screen menu to try and lower the learning curve and reduce the risk of brewing errors. Icons have also been added to some menu items to help users better identify the options they require, and speed up the navigation process. Finally, a ‘Cappuccino / Espresso’ option has been added to the main menu to reduce confusion and highlight the frothy cappuccino and the improved espresso with smooth crema. Our Flavia drinks menu is soon to be updated with the delicious new: Mars Galaxy hot chocolate, which will replace the existing Flavia hot chocolate drink: Choco. We would like to take a quick moment to introduce the latest addition to our catalogue of tabletop hot drinks machines: the Azkoyen Vitale S. Azkoyen have been developing top quality vending machines and components for over half a decade, and now offer one of the most comprehensive ranges of vending machines of any manufacturer. 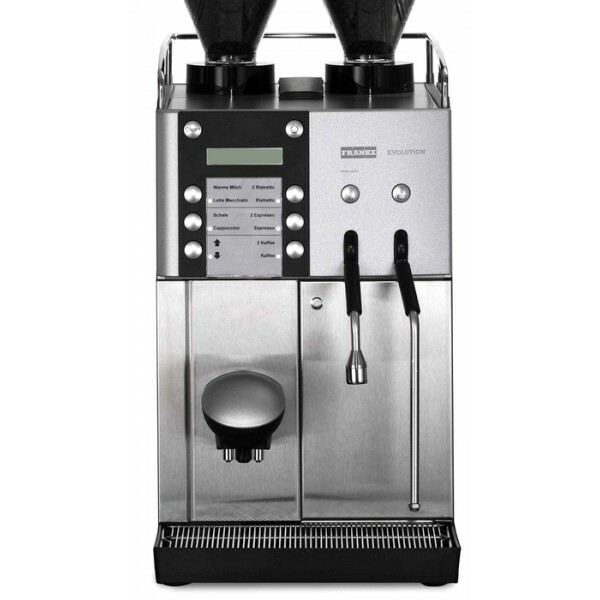 The Azkoyen Vitale S is quickly becoming a favourite amongst coffee lovers. This hot drinks vending machine has been designed to follow the particular standards set by a few of the world’s most renowned coffee experts with the aim of delivering the perfect drink. So you can be confident the Azkoyen Vitale S machine will satisfy the taste buds of most consumers. Very low maintenance is required with this 7 selection machine. It is easy to install, refill and clean, with direct access to key parts. This compact tabletop hot drinks machine comes in both bean-to-cup and instant only versions, as well as the combination model. For more information on this hot drinks machine, please visit our hot beverage vending machine page. Seeing a vending machine in the office is not an unusual sight today. People love stopping off at a vending machine for a quick snack, or any of the other things that can be found in a vending machine these days. The answer is unanimous though about what vending machine people find the most popular. Everyone loves the coffee vending machines. Speciality shops throw a spanner in the works though – they offer speciality coffee that attracts many customers. But….vending machine manufacturers are quick on the uptake. That is why today you get many coffee vending machines that offer speciality coffee of the highest quality and, most impressively, rivalling what the coffee shop can deliver. Coffee vending machines are good business. Businesses are always keen to allow a coffee vending machine onto the premises as they know employees dash off for coffee. People want their regular caffeine fix during the day. It is good for morale if staff don’t have to run out in all types of weather for their needed cuppa, and it saves time to have coffee ‘on tap’. A coffee vending machine is popular for small business premises as well. Owners of shops know that people will come inside to get a good cup of coffee. This means they are more amenable to spending money in the shop at the same time. Coffee vending machines that stock good quality coffee are popular not only on business premises, but also school staff rooms. Sometimes it seems as if the world runs on coffee and coffee vending machines can be a lucrative business. If you build up a reputation for quality and reliance you can soon have a good business running. If you show clients that you are a responsible entrepreneur, they may ask for more. How far you go in the vending machine business is up to you. We all know the importance of a nice hot drink. They help calm our mood, boost motivation and give us that extra nudge we need to work more effectively through the day. Not to mention they taste delicious – provided you use the right tools and ingredients, of course! There are a vast number of hot drinks machines to choose from in today’s market – true to such an extent that choosing the right machine for the home or office can be a daunting experience. It might help you to know that for us, Flavia machines and Flavia drinks are a favourite around our office. We use them on a daily basis, and have done for years. Flavia has spent over 25 years perfecting their vending systems to deliver one of the freshest, most delicious drinks around. Flavia provides the ultimate hot drinks vending machine solution. Quality is paramount throughout: the best ingredients are sourced from around the world, and served to you in highly reliable machines designed with simplicity in mind.